Toddlers at Adelphi Nursery are growing wheat to grind into flour and bake their own bread as part of a Soil to Slice project. The Gorbals pupils have sown seed, which they will care for until September when they will harvest and mill their own wheat. Finally, they will get to bake and eat their own bread. 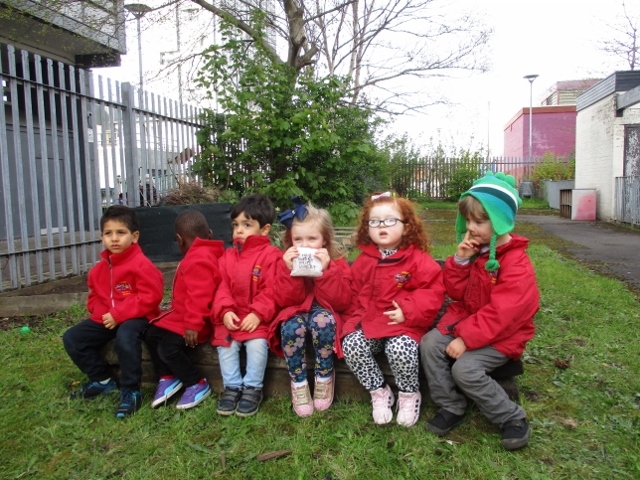 The nursery has signed up to the Glasgow Environmental Task Force Schools Charter and pledged to complete at least three "green" projects a year. As part of this challenge, High Rise Bakers will help the children turn their flour into bread. This group of Gorbals residents bake their own produce and sell it to the local community. Julia Carey, nursery head teacher, said the Soil to Slice project is part of our wider focus on sustainability. Previously the pupils have raised hens, bartered eggs with the High Rise Bakers and recycled clothes. She said: "As a nursery we encourage our children and families to engage in a lifestyle which promotes healthy living. There are lots of opportunities to do this in the Gorbals area. "Through our involvement with the High Rise Bakers we became involved in the Soil to Slice campaign which is part of Scotland The Bread. The group provides us with training, seeds and on-going online advice, and as the name suggests the children will be involved every step of the way, from Soil , to Slice." 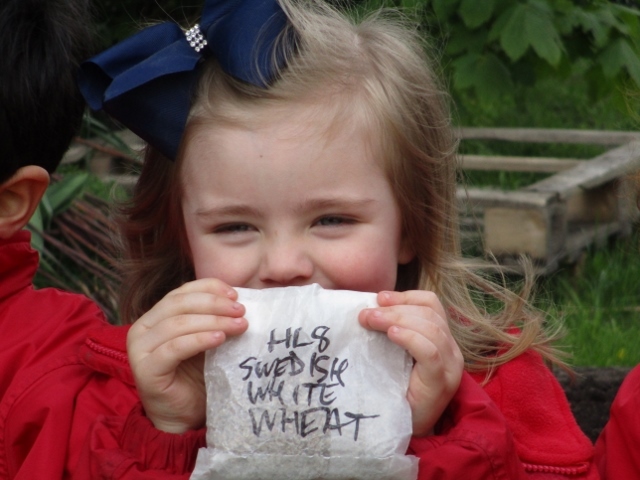 The nursery pupils are the first children to take part in Scotland the Bread's Soil to Slice scheme. Veronica Burke, co-founder of Scotland The Bread, said: "We welcome the children at Adelphi Nursery as our youngest-ever participants. 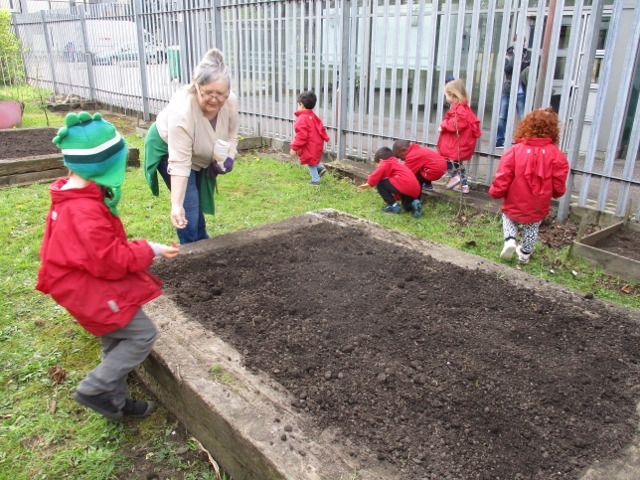 No-one is too young to get their hands in the soil and explore the edible plants they can grow right here in the city. We're looking forward to seeing how they get on and helping them to harvest and mill some grain in September, then to make some bread from it. We hope that they will all enjoy the experience and we know that they'll bring that important ingredient - joyfulness - to the experiment."